For many businesses, offices and apartment blocks, window cleaning is an important part of the maintenance and upkeep of their buildings. 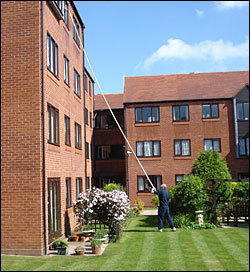 Window Cleaning is a skill that requires much expert knowledge. 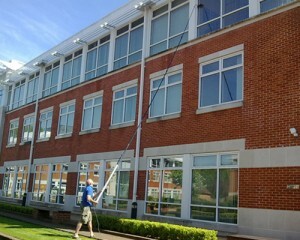 Commercial window cleaning contracts cannot be taken on by inexperienced window cleaners. T.C. Bibby window cleaners have the specialist knowledge, equipment and insurance to ensure that your windows are left sparkling clean and the window cleaning is carried out in complete safety. As professional window cleaners, we understand the importance of the window and facade cleaning for your premises; you only get one chance to make a first impression, and image counts. The exterior of your property may be the first face-to-face contact that your potential clients have with your business.